Not a recipe post but last week I made my third (yes third!) 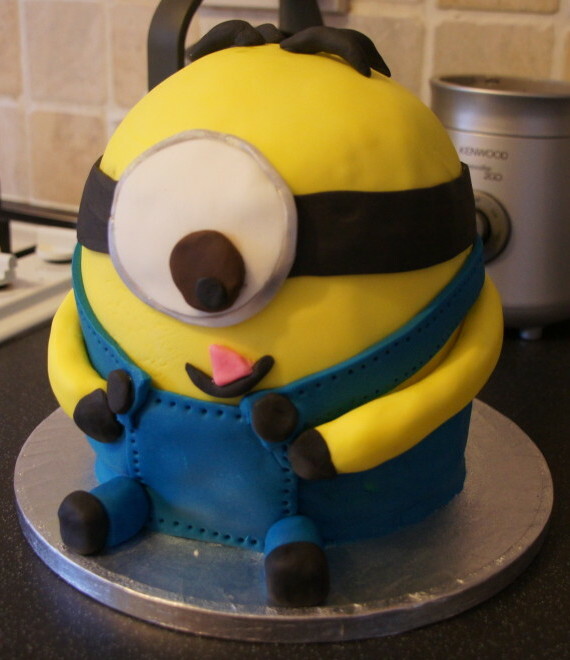 3D Minion cake. This was another birthday cake, for Amber, the daughter of one of my colleague’s 11th birthday. This one was slightly different in that she had requested a vanilla cake so I used Jo Wheatley’s vanilla celebration cake recipe from ‘A Passion for Baking’. This is by far my best one so far. I splashed out recently and treated myself to a new, large non-stick rolling pin and a new, large non-stick board for my sugarcraft work which I have to say made the whole process a lot easier. The cake was a big hit. In fact it was such a hit they weren’t allowed to cut it on the day and instead Amber kept nibbling away at the icing (starting with the hair, followed by the eye, followed by the mouth) until it could be cut the next day. I’ve already had my next request for a birthday in July which I am busy researching so watch this space!